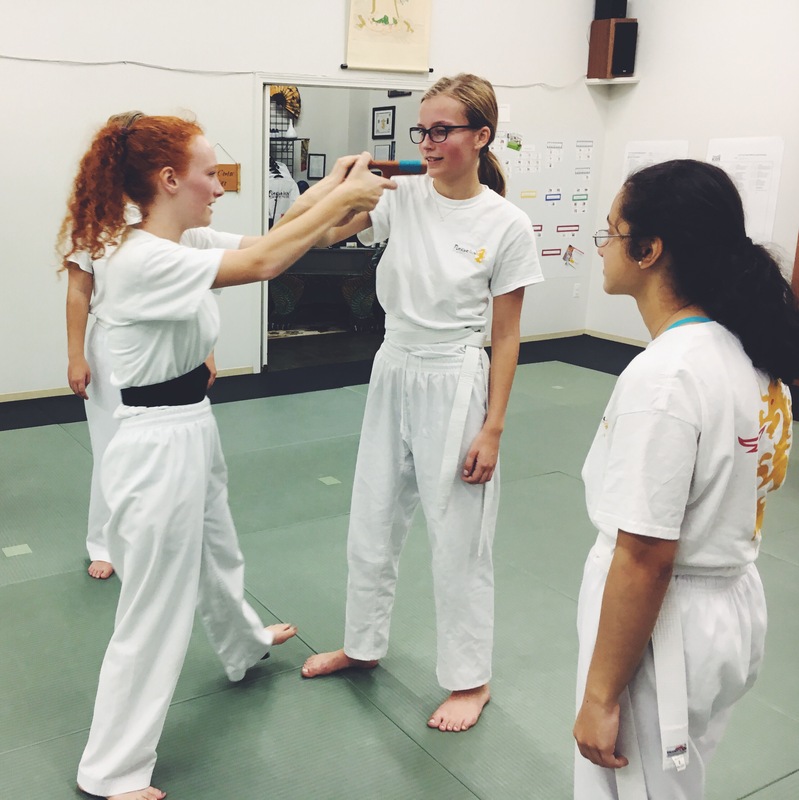 Your teen is welcomed onto the mat and along a journey where they will find not just self-defense and empowerment, but acceptance, a home away from home, a physical outlet, social interactions outside of school, and a place to explore who they are while feeling respected and safe. Physical challenges build strength and fitness, while lessons in “mind over matter” deepen resilience, problem solving abilities, mental focus and resolve. Our lessons teach your teen to advocate for themselves, work cooperatively, value themselves, and become real leaders at work, school and throughout their lives. You want your teen to have clear boundaries, a strong voice and effective physical techniques to carry in their back pocket for the rest of their lives. And if training results in a beaming smile, a bouncing step and a sense of connection to life, what are you waiting for? Young Adults Pathway -- Only $119/month -- Enroll Now! Curious about where this journey might lead? I started training at Naga when I was eleven so a big motivator for me was fun! But I also know I belong here. Everyone is so welcoming. We looked at a few other schools, but my mom and dad and I really liked the feel of this place. Over the years I’ve gotten in excellent shape and have learned some great skills. I am now a very confident kid, which is awesome especially because it was such an unexpected side effect of my training! I drop my teen off here and know that they are getting a good workout surrounded by good people and gaining excellent life skills. Life with a teen is sometimes so intense, it’s nice for me to have this break away knowing they are in good hands. Want to try it out? Set up a free class! Who is teaching my teen? We are! You want to know that your teen is learning from people with integrity whom you can trust, and we promise we’ve got you covered! Jeff and Silvia are parents of teenagers and the owners of Naga. We believe your young adult deserves excellent instruction from the start their journey, and that you deserve a collaborative team and open communication. The teen years, as you well know, can be complicated and emotional, and with our experience, educational background and training, we are up to the task! 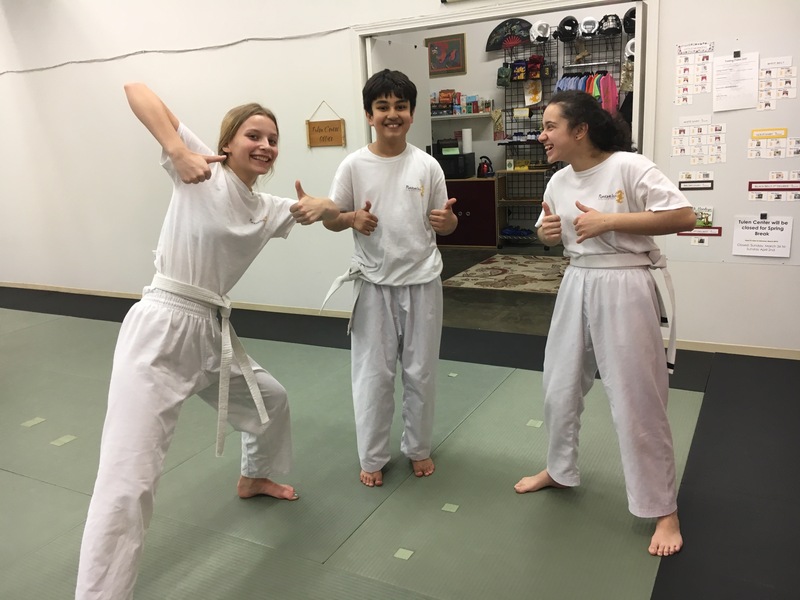 We, and our core group of black belt instructors, are committed to meeting your young adult where they are, while making sure they get the most out of each class and leave sweaty and smiling! How many classes should my teen attend per week? We recommend a training schedule of two classes per week, but we know that the life of a teen can include varying degrees of homework and activities. Staying consistent and making room for training even in the busiest of weeks is overall more important than how often your teen comes to class. No! We believe simpler is better! The world is complicated enough without us making it more so. Our memberships are month-to-month and easy to cancel or put on hold. Contact Us with Questions or Set Up a Free Class! You owe it to yourself to look at this school. You need to know what is available to you so that you can make the right choice. All martial arts schools will teach the physical skills, but this school teaches so much more. Aside from that, there is an amazing caring community. Looking for the Best Summer Camp Experience Around?